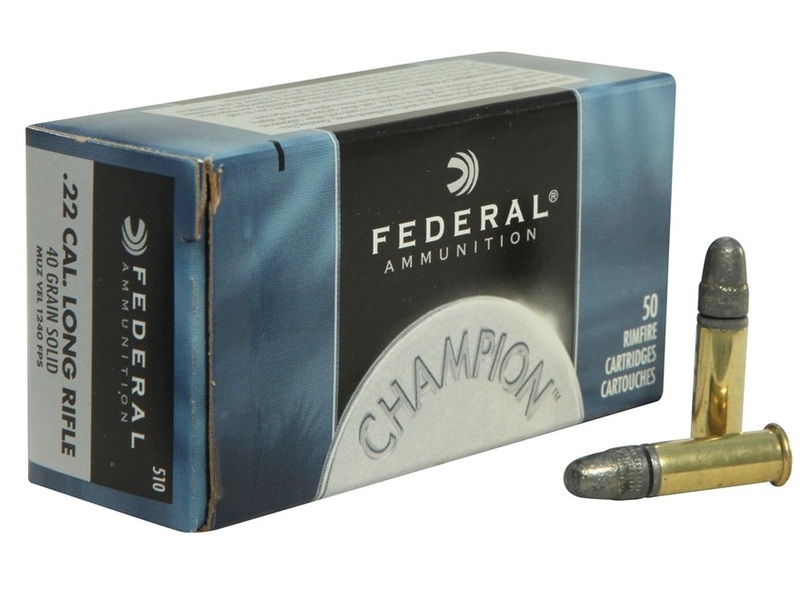 Federal Champion 22LR 40 Grain Solid Lead Ammunition. 500 Round Brick. Muzzle Velocity 1240 fps. This is an excellent round for general target shooting & plinking.